The Wisdom of God Manifested in the Works of the Creation. 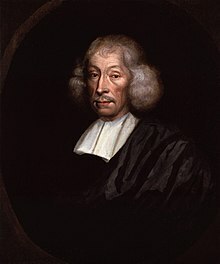 John Ray (29 November 1627 – 17 January 1705) was an English naturalist, sometimes referred to as the father of English natural history. I cannot but look upon the strange Instinct of this noisome and troublesome Creature a Louse, of searching out foul and nasty Clothes to harbor and breed in, as an Effect of divine Providence, design'd to deter Men and Women from Sluttishness and Sordidness. The use of plants is all our life long of that universal importance and concern that we can neither live nor subsist with any decency and convenience, or be said, indeed, to live at all without them. Whatsoever food is necessary to sustain us, whatsoever conteibutes to delight and refresh us, is supplied and brought forth out of that plentiful and abundant store. And ah! how much more innocent, sweet, and healthful is a table covered with those than with all the reeking flesh of butchered and slaughtered animals. Certainly man by nature was never made to be a carnivorous animal, nor is he armed at all for prey and rapine, with jagged and pointed teeth and crooked claws sharpened to rend and tear, but with gentle hands to gather fruit and vegetables, and with teeth to chew and eat them. Quoted in The Ethics of Diet: A Catena of Authorities Deprecatory of the Practice of Flesh-eating by Howard Williams (London: F. Pitman, 1883), p. 107. If wishes were horses, beggars might ride. John Ray. A compleat collection of English proverbs. To which is added, A collection of English words not generally used. 1670/1813. Next page numbers from 1813 ed. In a calm sea every man is a pilot. Like blood, like good, and like agen make the happiest marriage. That is, such rude and uncivil, or sordid and dirty language, as the rabble that frequent those sports, are wont to use. Money and friendship bribe justice. If wishes were butter-cakes, beggars might bite. If wishes were thrushes, beggars would eat birds. If wishes would bide, beggars would ride. As full as a piper's bag; as a tick. As full as a toad is of poison. As full as a jade, quoth the bride. As gant as a greyhound. As glad as a fowl of a fair day. To go like a cat upon a hot bake-stone. To go out like a candle in a snuff. As good as George of Green. I do not know who first emphasized the need for a clear understanding of the sense in which the term species is to be applied. In the second half of the seventeenth century Ray shows some degree of concern on this matter. In the introduction to the Historia Plantarum, 1686, he discusses some of the difficulties and lays down the principle that varieties which can be produced from the seed of the same plant are to be regarded as belonging to one species, being, I believe, the first to suggest this definition. William Bateson, Problems in Genetics (1913). This page was last edited on 9 October 2018, at 16:26.